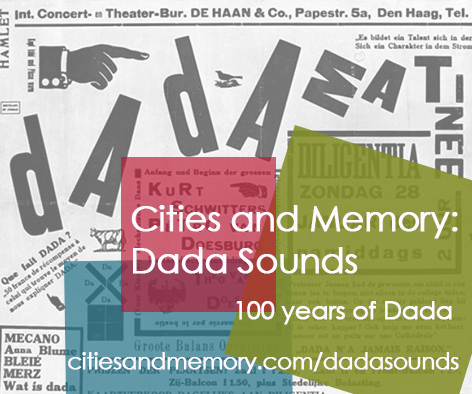 Explore the Dada Sounds on the sound map below, and in the playlist. 28 countries, taking in everywhere from Iceland and Canada and from India to Vietnam. 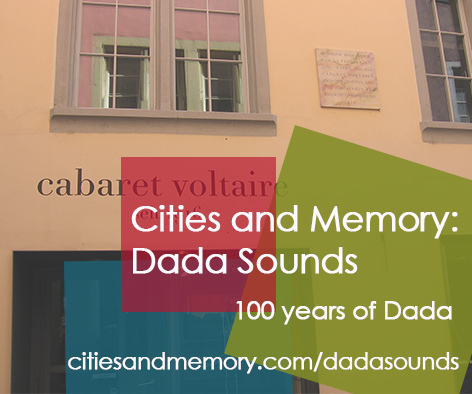 Iconic Dada locations including Berlin, Paris and the very doorstep of the Cabaret Voltaire in Zurich. 77 sound artists, musicians and field recordists taking part from across the world, each bringing their own interpretation to the project. The sounds use a huge range of Dada-inspired techniques to reimagine the sounds, from collage and abstraction to sound poetry and pieces based around the lives and experiences of some of the key figures of Dada. Pieces inspired by Orson Welles, David Bowie, Duke Ellington and myriad other sources. Contributing sound artists come from locations all over the world, as far afield as Colombia, Brazil, Canada, Finland and Australia. Working from Herne Bay pier - boat ride melodies. Collage, abstraction and assemblage by working on a 'found' sound from the archive and slicing it into 24 segments (each lasting 5 seconds), visually collaging them in a sound editor and abstracting them towards a composition of fluctuating loops to render the spirit of the (imagined/distorted) merry-go-round tune in the original recording.